Car-hailing company Lyft has acquired Motivate, the company that runs Washington's Capital Bikeshare, New York City's Citi Bike and bikesharing programs in several other big cities, for an undisclosed sum. WASHINGTON — Car-hailing company Lyft has acquired Motivate, the company that runs Washington’s Capital BikeShare, New York City’s Citi Bike and bike-sharing programs in several other big cities, for an undisclosed sum. Lyft says it will invest to establish bike offerings in its major markets and pursue growth in markets where Motivate is already operating. Lyft has acquired Motivate’s technology and corporate functions, including its city contracts. Motivate’s bike maintenance and servicing business will remain a stand-alone business. It will continue to provide service to bike-share programs. Other Motivate contracts are Ford GoBike in San Francisco, Divvy in Chicago, Blue Bikes in Boston, Biketown in Portland, CoGo in Columbus and Nice Ride in Minneapolis. 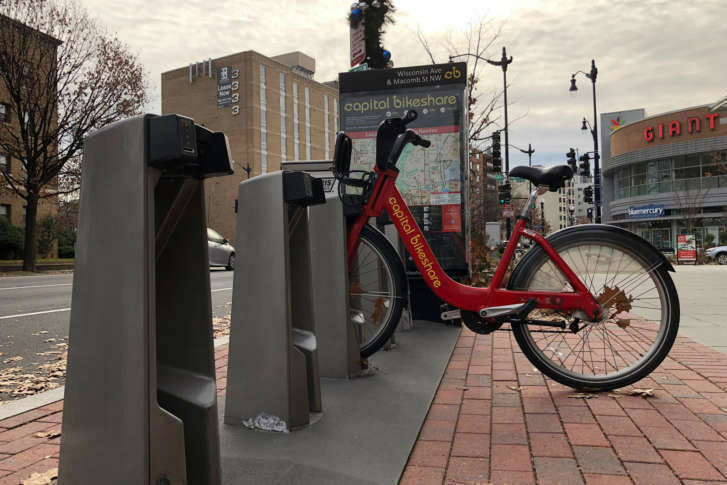 Motivate says that last year 80 percent of the bike-share trips in the United States were on Motivate-operated systems. Earlier this year, Uber bought dockless bike-share company Jump.